In front of a full house at Mackey Arena the Boilermakers stunned Coach Tom Izzo and the #6 Spartans. The 73-63 loss for the Spartans was their first Big Ten loss for the season. Ryan Cline lead the Boilermakers with 17 points and Carsten Edwards added 14 to lead the charge against the Spartans. The Boilermakers started hot taking a 19-6 lead and never looked back. 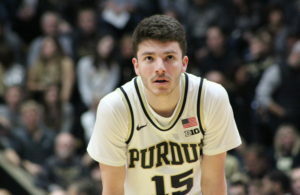 The key for Purdue was defense, rebounding and attacking any loose ball on the floor. The Spartans were down by 23 in the second half but fought back by the efforts of leading scorer Cassius Winston who lead all scorers with 23 points and 8 rebounds. The Spartans went on a 24-5 run in the second half. They pulled within 5 points with a little less than four minutes to go but Winston could not do it by himself. Coach Izzo told his players during a timeout to intentionally foul Nojel Eastern who was shooting a season average of 50 percent from the free throw line. That strategy did not work as Eastern did a great job of knocking them down hitting all six down the stretch. Coach Izzo said after the game that “Our freshmen needed diapers. 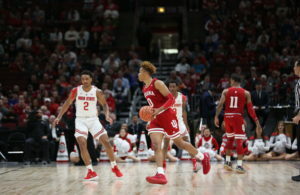 It was one of those days I knew they were gonna get indoctrinated.” The Spartans were without their junior forward Kyle Ahrens who is suffering from a back issue. 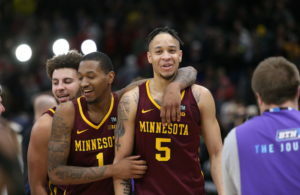 The freshmen indeed had a nice introduction to just how tough the Big Ten conference is. 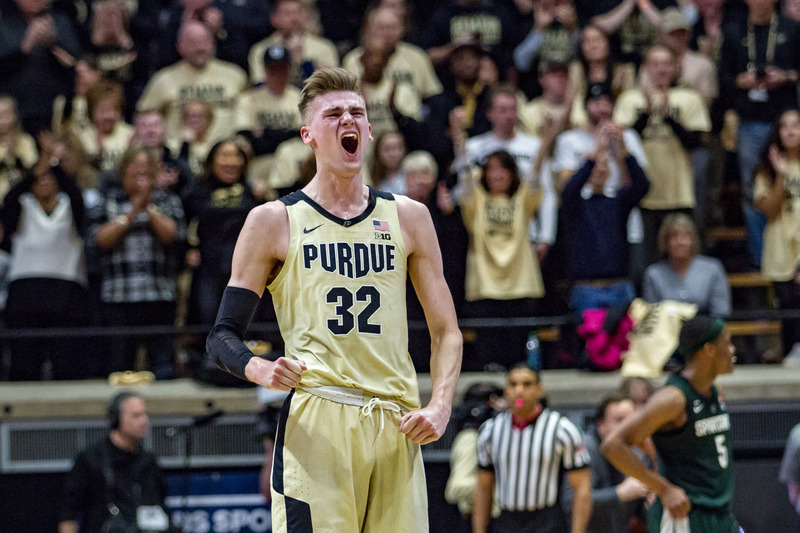 Purdue snapped Michigan State’s 21 game winning streak in the Big Ten conference. Next up for Purdue is a road game against Penn State on Thursday. Indiana falls to Ohio St.
Purdue routes The Ohio State University in 35 point victory.